I create products to make the IEP process easier. Take a look! Am I ready for my IEP Meeting? As an advocate, I have attended literally hundreds of IEP meetings. I know you, Moms. You’re stressed and anxious. But attending all those IEP meetings has also given me a tremendous view of all kinds of people and meetings and ways to prepare. If you hire a Special Education Advocate, you might be paying someone to do some of the items below. But, even if that is the case, you should use the list below to make sure you are prepared. If you found this blog post and you don’t have enough time to do all of these, please don’t stress over it. Use it as a learning opportunity to be better prepared next time. 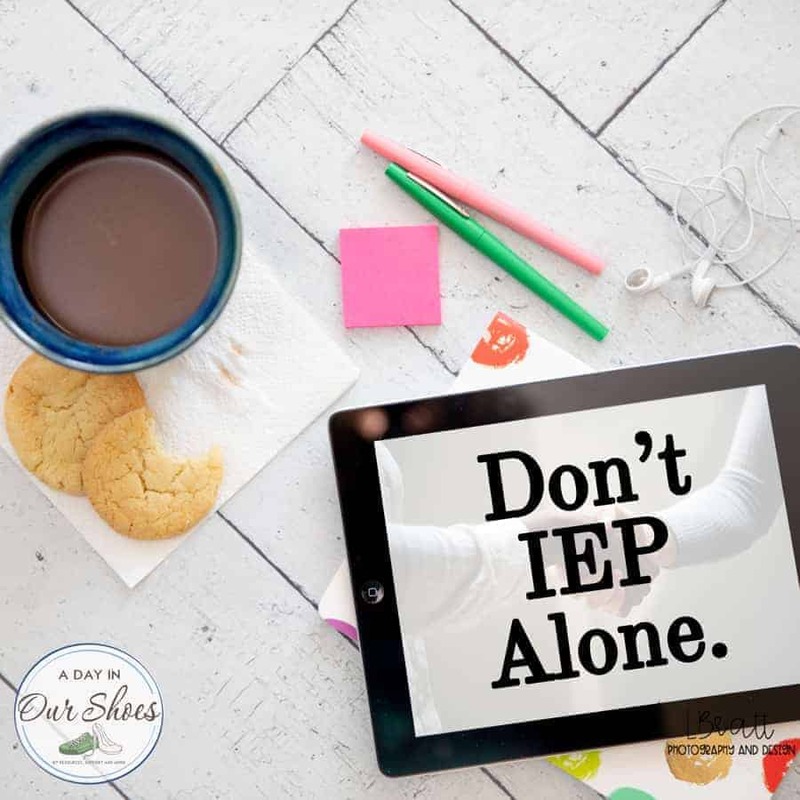 It’s never too late to be prepared for an IEP meeting. You may just have some back-tracking and do-overs as a result of what you learn now. So you see this list of items from the IEP meeting checklist? I have a blog post that corresponds with most of them. Isn’t that awesome? If you’ve printed it and you have it in front of you, you can use it with the blog post to do the deep dive as they say. Check back often, as I think of new items I will add them. Reviewed current IEP with notes and highlighter. Participated in the 5 essential parts of the IEP process. Wrote a thorough Parent Concerns letter. Completed IEP Vision Statement with family. Talked with my child about attending the meeting. In agreement with the child’s other parent about issues, if applicable. If applicable talked with Advocate about last minute details. A compiled list of child’s strengths, ideas on how to leverage. Reviewed necessary school district policies (attendance, discipline). Have printouts about child’s condition or from specialists. Researched evals and strategies for child’s issues. RSVP’d to the meeting with expectations of who I expect to be there. Have childcare for other children. Requested time off work, cleared schedule. Have outfit picked out (for confidence). Cleared schedule day before and after meeting (for prep and rest). Here is the PDF if you want to print it. There are so many parents out there right now looking for IEP meeting tips. And so many parent mentors and advocates who are willing to help. Join them in our group on Facebook.